To make the review more objective we offer you to compare tyres Continental ContiVikingContact 6 with any of those on which you drive. You can fill not all fields, but the more you fill, the more motorists will thank you. ContiVikingContact 6 0 / 0 R0 8462 руб. ContiVikingContact 6 175 / 70 R13 86 T 3476 руб. Москва ВилсПлюс +7 (495) 661-4651 3664 руб. — order discounts! ContiVikingContact 6 175 / 70 R13 86 T +	3353 руб. ContiVikingContact 6 155 / 65 R14 75 T 4119 руб. ContiVikingContact 6 175 / 65 R14 82 T 4246 руб. Москва ВилсПлюс +7 (495) 661-4651 4489 руб. — order discounts! ContiVikingContact 6 175 / 65 R14 86 T 4638 руб. ContiVikingContact 6 175 / 70 R14 88 T 4368 руб. Москва ВилсПлюс +7 (495) 661-4651 4609 руб. — order discounts! ContiVikingContact 6 175 / 70 R14 88 T +	4148 руб. ContiVikingContact 6 185 / 60 R14 82 T 4730 руб. Москва ВилсПлюс +7 (495) 661-4651 5026 руб. — order discounts! ContiVikingContact 6 185 / 65 R14 90 T 4679 руб. Москва ВилсПлюс +7 (495) 661-4651 4946 руб. — order discounts! ContiVikingContact 6 185 / 65 R14 90 T +	4418 руб. ContiVikingContact 6 145 / 65 R15 72 T 3333 руб. ContiVikingContact 6 145 / 65 R15 72 T +	3324 руб. ContiVikingContact 6 175 / 55 R15 4642 руб. ContiVikingContact 6 175 / 55 R15 77 T 4697 руб. Москва ВилсПлюс +7 (495) 661-4651 4878 руб. — order discounts! ContiVikingContact 6 175 / 65 R15 88 T 5145 руб. Москва ВилсПлюс +7 (495) 661-4651 5145 руб. — order discounts! ContiVikingContact 6 185 / 55 R15 5757 руб. ContiVikingContact 6 185 / 55 R15 86 T 5987 руб. ContiVikingContact 6 185 / 55 R15 86 T +	5786 руб. ContiVikingContact 6 185 / 60 R15 4992 руб. ContiVikingContact 6 185 / 60 R15 88 T 5313 руб. Москва ВилсПлюс +7 (495) 661-4651 5389 руб. — order discounts! ContiVikingContact 6 185 / 60 R15 88 T +	5023 руб. ContiVikingContact 6 185 / 65 R15 92 T 4663 руб. Москва ВилсПлюс +7 (495) 661-4651 4758 руб. — order discounts! ContiVikingContact 6 195 / 55 R15 89 T 6326 руб. ContiVikingContact 6 195 / 55 R15 89 T +	6186 руб. ContiVikingContact 6 195 / 60 R15 4760 руб. ContiVikingContact 6 195 / 60 R15 92 T 4892 руб. ContiVikingContact 6 195 / 60 R15 92 T +	4709 руб. ContiVikingContact 6 195 / 65 R15 4798 руб. ContiVikingContact 6 195 / 65 R15 95 T 4947 руб. Москва ВилсПлюс +7 (495) 661-4651 5058 руб. — order discounts! ContiVikingContact 6 195 / 65 R15 95 T +	4750 руб. ContiVikingContact 6 205 / 65 R15 5423 руб. ContiVikingContact 6 205 / 65 R15 99 T 5671 руб. Москва ВилсПлюс +7 (495) 661-4651 5776 руб. — order discounts! ContiVikingContact 6 205 / 65 R15 99 T +	5425 руб. ContiVikingContact 6 205 / 70 R15 96 T 6368 руб. ContiVikingContact 6 235 / 75 R15 8530 руб. ContiVikingContact 6 235 / 75 R15 109 T 9111 руб. Москва ВилсПлюс +7 (495) 661-4651 9400 руб. — order discounts! ContiVikingContact 6 195 / 55 R16 91 T 6854 руб. ContiVikingContact 6 195 / 55 R16 91 T +	6850 руб. ContiVikingContact 6 195 / 60 R16 93 T 7030 руб. ContiVikingContact 6 195 / 60 R16 93 T +	6524 руб. ContiVikingContact 6 205 / 55 R16 91 T +	7250 руб. ContiVikingContact 6 205 / 55 R16 94 T 6738 руб. ContiVikingContact 6 205 / 60 R16 6376 руб. ContiVikingContact 6 205 / 60 R16 92 T 7716 руб. ContiVikingContact 6 205 / 60 R16 92 T +	7385 руб. ContiVikingContact 6 205 / 60 R16 96 T 6772 руб. Москва ВилсПлюс +7 (495) 661-4651 6633 руб. — order discounts! ContiVikingContact 6 205 / 60 R16 96 T +	6454 руб. ContiVikingContact 6 215 / 55 R16 5300 руб. ContiVikingContact 6 215 / 55 R16 97 T 7216 руб. Москва ВилсПлюс +7 (495) 661-4651 7329 руб. — order discounts! ContiVikingContact 6 215 / 55 R16 97 T +	7077 руб. ContiVikingContact 6 215 / 60 R16 6150 руб. ContiVikingContact 6 215 / 60 R16 99 T 7618 руб. ContiVikingContact 6 215 / 60 R16 99 T +	7436 руб. ContiVikingContact 6 215 / 65 R16 102 T 6441 руб. ContiVikingContact 6 215 / 65 R16 102 T +	6170 руб. ContiVikingContact 6 215 / 70 R16 6922 руб. ContiVikingContact 6 215 / 70 R16 100 T 8237 руб. ContiVikingContact 6 225 / 55 R16 99 T 8367 руб. ContiVikingContact 6 225 / 55 R16 99 T +	8421 руб. ContiVikingContact 6 225 / 60 R16 7683 руб. ContiVikingContact 6 225 / 60 R16 102 T 8113 руб. Москва ВилсПлюс +7 (495) 661-4651 8008 руб. — order discounts! ContiVikingContact 6 225 / 60 R16 102 T +	7791 руб. ContiVikingContact 6 225 / 70 R16 6922 руб. ContiVikingContact 6 225 / 70 R16 107 T 8590 руб. ContiVikingContact 6 225 / 70 R16 107 T +	8381 руб. ContiVikingContact 6 225 / 75 R16 7876 руб. ContiVikingContact 6 225 / 75 R16 108 T 8190 руб. Москва ВилсПлюс +7 (495) 661-4651 8210 руб. — order discounts! ContiVikingContact 6 225 / 75 R16 108 T +	7987 руб. ContiVikingContact 6 245 / 70 R16 111 T 9563 руб. ContiVikingContact 6 245 / 70 R16 111 T +	9447 руб. ContiVikingContact 6 245 / 75 R16 6485 руб. ContiVikingContact 6 245 / 75 R16 111 T 9546 руб. ContiVikingContact 6 265 / 70 R16 9415 руб. ContiVikingContact 6 265 / 70 R16 112 T 10018 руб. Москва ВилсПлюс +7 (495) 661-4651 10013 руб. — order discounts! ContiVikingContact 6 205 / 45 R17 88 T 7968 руб. ContiVikingContact 6 205 / 50 R17 93 T 8480 руб. ContiVikingContact 6 205 / 50 R17 93 T +	7943 руб. ContiVikingContact 6 205 / 55 R17 95 T 8306 руб. ContiVikingContact 6 205 / 60 R17 97 T 6416 руб. ContiVikingContact 6 215 / 45 R17 91 T 9830 руб. ContiVikingContact 6 215 / 50 R17 7123 руб. ContiVikingContact 6 215 / 50 R17 95 T 8668 руб. Москва ВилсПлюс +7 (495) 661-4651 8591 руб. — order discounts! ContiVikingContact 6 215 / 50 R17 95 T +	8372 руб. ContiVikingContact 6 215 / 55 R17 9390 руб. ContiVikingContact 6 215 / 55 R17 98 T 10476 руб. ContiVikingContact 6 215 / 55 R17 98 T +	10238 руб. ContiVikingContact 6 215 / 60 R17 100 T 9501 руб. ContiVikingContact 6 215 / 60 R17 96 T 9003 руб. Москва ВилсПлюс +7 (495) 661-4651 8880 руб. — order discounts! ContiVikingContact 6 215 / 65 R17 103 T 10038 руб. ContiVikingContact 6 225 / 45 R17 10522 руб. ContiVikingContact 6 225 / 45 R17 94 T 11181 руб. Москва ВилсПлюс +7 (495) 661-4651 11191 руб. — order discounts! ContiVikingContact 6 225 / 45 R17 94 T +	9529 руб. ContiVikingContact 6 225 / 45 R17 94 T +	+	10805 руб. ContiVikingContact 6 225 / 50 R17 8679 руб. ContiVikingContact 6 225 / 50 R17 94 T 10472 руб. ContiVikingContact 6 225 / 50 R17 94 T +	10176 руб. ContiVikingContact 6 225 / 50 R17 98 T 9082 руб. Москва ВилсПлюс +7 (495) 661-4651 9045 руб. — order discounts! ContiVikingContact 6 225 / 50 R17 98 T +	8801 руб. 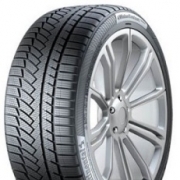 ContiVikingContact 6 225 / 55 R17 9000 руб. ContiVikingContact 6 225 / 55 R17 101 T 9670 руб. ContiVikingContact 6 225 / 55 R17 101 T +	9516 руб. ContiVikingContact 6 225 / 55 R17 97 T +	10969 руб. ContiVikingContact 6 225 / 60 R17 9981 руб. ContiVikingContact 6 225 / 60 R17 103 T 9237 руб. Москва ВилсПлюс +7 (495) 661-4651 9024 руб. — order discounts! ContiVikingContact 6 225 / 60 R17 103 T +	9243 руб. ContiVikingContact 6 225 / 60 R17 99 T 10496 руб. ContiVikingContact 6 225 / 60 R17 99 T +	10326 руб. ContiVikingContact 6 225 / 65 R17 8612 руб. ContiVikingContact 6 225 / 65 R17 102 T 8921 руб. Москва ВилсПлюс +7 (495) 661-4651 8975 руб. — order discounts! ContiVikingContact 6 225 / 65 R17 106 T 9443 руб. ContiVikingContact 6 235 / 45 R17 97 T 10223 руб. Москва ВилсПлюс +7 (495) 661-4651 10221 руб. — order discounts! ContiVikingContact 6 235 / 45 R17 97 T +	10288 руб. ContiVikingContact 6 235 / 55 R17 103 T 10007 руб. Москва ВилсПлюс +7 (495) 661-4651 9878 руб. — order discounts! ContiVikingContact 6 235 / 55 R17 103 T +	9442 руб. ContiVikingContact 6 235 / 60 R17 106 T 9622 руб. ContiVikingContact 6 235 / 60 R17 106 T +	9218 руб. ContiVikingContact 6 235 / 65 R17 108 T 9570 руб. ContiVikingContact 6 235 / 65 R17 108 T +	9185 руб. ContiVikingContact 6 245 / 45 R17 99 T 11610 руб. ContiVikingContact 6 245 / 45 R17 99 T +	10929 руб. ContiVikingContact 6 245 / 65 R17 9338 руб. ContiVikingContact 6 245 / 65 R17 111 T 9848 руб. Москва ВилсПлюс +7 (495) 661-4651 9734 руб. — order discounts! ContiVikingContact 6 245 / 65 R17 111 T +	9469 руб. ContiVikingContact 6 255 / 65 R17 9450 руб. ContiVikingContact 6 255 / 65 R17 114 T 10172 руб. Москва ВилсПлюс +7 (495) 661-4651 10050 руб. — order discounts! ContiVikingContact 6 255 / 65 R17 114 T +	10175 руб. ContiVikingContact 6 265 / 65 R17 9681 руб. ContiVikingContact 6 265 / 65 R17 116 T 10228 руб. Москва ВилсПлюс +7 (495) 661-4651 10296 руб. — order discounts! ContiVikingContact 6 265 / 65 R17 116 T +	10421 руб. ContiVikingContact 6 225 / 40 R18 92 T 11419 руб. ContiVikingContact 6 225 / 40 R18 92 T +	11087 руб. ContiVikingContact 6 225 / 45 R18 95 T 11369 руб. Москва ВилсПлюс +7 (495) 661-4651 11901 руб. — order discounts! ContiVikingContact 6 225 / 45 R18 95 T +	11686 руб. ContiVikingContact 6 225 / 55 R18 102 T 10168 руб. ContiVikingContact 6 225 / 55 R18 102 T +	9631 руб. ContiVikingContact 6 225 / 60 R18 104 T 10898 руб. ContiVikingContact 6 225 / 60 R18 104 T +	9556 руб. ContiVikingContact 6 225 / 60 R18 104 T +	11081 руб. ContiVikingContact 6 235 / 40 R18 95 T 11710 руб. Москва ВилсПлюс +7 (495) 661-4651 11663 руб. — order discounts! ContiVikingContact 6 235 / 40 R18 95 T +	11836 руб. ContiVikingContact 6 235 / 50 R18 11223 руб. ContiVikingContact 6 235 / 50 R18 101 T 11895 руб. Москва ВилсПлюс +7 (495) 661-4651 11697 руб. — order discounts! ContiVikingContact 6 235 / 50 R18 101 T +	11381 руб. ContiVikingContact 6 235 / 55 R18 104 T 10512 руб. ContiVikingContact 6 235 / 55 R18 104 T +	9807 руб. ContiVikingContact 6 235 / 60 R18 107 T 10280 руб. ContiVikingContact 6 235 / 60 R18 107 T +	9475 руб. ContiVikingContact 6 245 / 40 R18 11000 руб. ContiVikingContact 6 245 / 40 R18 97 T 11708 руб. ContiVikingContact 6 245 / 45 R18 100 T 12657 руб. Москва ВилсПлюс +7 (495) 661-4651 12463 руб. — order discounts! ContiVikingContact 6 245 / 45 R18 100 T +	12239 руб. ContiVikingContact 6 245 / 50 R18 12190 руб. ContiVikingContact 6 245 / 50 R18 104 T 12797 руб. ContiVikingContact 6 245 / 50 R18 104 T +	11331 руб. ContiVikingContact 6 255 / 55 R18 9794 руб. ContiVikingContact 6 255 / 55 R18 109 T 10870 руб. Москва ВилсПлюс +7 (495) 661-4651 11257 руб. — order discounts! ContiVikingContact 6 255 / 55 R18 109 T +	10024 руб. ContiVikingContact 6 255 / 55 R18 109 T +	10868 руб. ContiVikingContact 6 265 / 60 R18 114 T 10758 руб. ContiVikingContact 6 265 / 60 R18 114 T +	10446 руб. ContiVikingContact 6 225 / 45 R19 96 T 11833 руб. ContiVikingContact 6 225 / 55 R19 103 T 13421 руб. ContiVikingContact 6 235 / 35 R19 91 T +	12684 руб. ContiVikingContact 6 235 / 40 R19 96 T 16030 руб. ContiVikingContact 6 235 / 40 R19 96 T +	13545 руб. ContiVikingContact 6 235 / 50 R19 103 T 12970 руб. ContiVikingContact 6 235 / 55 R19 105 T 11210 руб. ContiVikingContact 6 235 / 55 R19 105 T +	10382 руб. ContiVikingContact 6 245 / 40 R19 98 T 13480 руб. ContiVikingContact 6 245 / 40 R19 98 T +	12315 руб. ContiVikingContact 6 245 / 45 R19 102 T 14524 руб. ContiVikingContact 6 245 / 50 R19 105 T +	19644 руб. ContiVikingContact 6 245 / 55 R19 103 T 7065 руб. ContiVikingContact 6 255 / 35 R19 96 T 13657 руб. ContiVikingContact 6 255 / 40 R19 100 T 13426 руб. Москва ВилсПлюс +7 (495) 661-4651 13131 руб. — order discounts! ContiVikingContact 6 255 / 40 R19 100 T +	12895 руб. ContiVikingContact 6 255 / 45 R19 100 T 10088 руб. ContiVikingContact 6 255 / 50 R19 11331 руб. ContiVikingContact 6 255 / 50 R19 107 T 12037 руб. Москва ВилсПлюс +7 (495) 661-4651 11809 руб. — order discounts! ContiVikingContact 6 255 / 50 R19 107 T +	11490 руб. ContiVikingContact 6 255 / 55 R19 10674 руб. ContiVikingContact 6 255 / 55 R19 111 T 11481 руб. Москва ВилсПлюс +7 (495) 661-4651 11127 руб. — order discounts! ContiVikingContact 6 255 / 55 R19 111 T +	10825 руб. ContiVikingContact 6 265 / 50 R19 10778 руб. ContiVikingContact 6 265 / 50 R19 110 T 11270 руб. Москва ВилсПлюс +7 (495) 661-4651 11234 руб. — order discounts! ContiVikingContact 6 245 / 45 R20 103 T 15800 руб. ContiVikingContact 6 255 / 35 R20 15537 руб. ContiVikingContact 6 255 / 35 R20 97 T 16418 руб. ContiVikingContact 6 255 / 35 R20 97 T +	15756 руб. ContiVikingContact 6 255 / 45 R20 105 T 14013 руб. Москва ВилсПлюс +7 (495) 661-4651 14140 руб. — order discounts! ContiVikingContact 6 255 / 50 R20 109 T 13430 руб. ContiVikingContact 6 275 / 40 R20 11759 руб. ContiVikingContact 6 275 / 40 R20 106 T 12426 руб. ContiVikingContact 6 275 / 40 R20 106 T +	12074 руб. ContiVikingContact 6 275 / 45 R20 110 T 12551 руб. Москва ВилсПлюс +7 (495) 661-4651 12371 руб. — order discounts! ContiVikingContact 6 275 / 45 R20 110 T +	12148 руб. ContiVikingContact 6 275 / 40 R21 13312 руб.